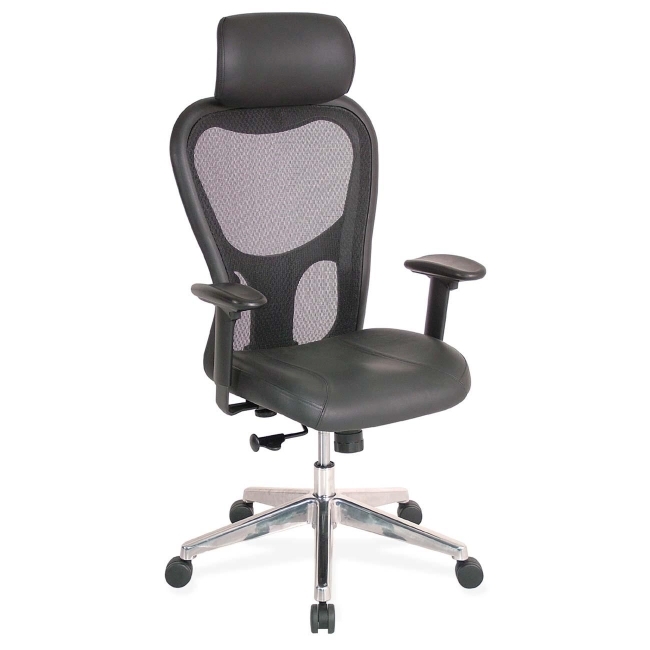 Executive high-back chair features a headrest, black mesh back, black leather seat and arm pads. 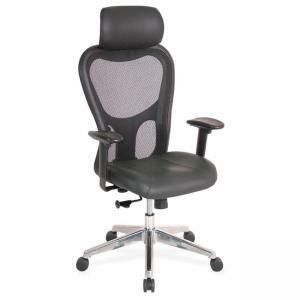 Functions include pneumatic seat-height adjustment, 360-degree swivel, tilt tension and tilt lock. Frame and five-star base are made of polished aluminum. Base has casters for easy chair movement.